Problems happen in life, beyond our control, that can suddenly and unexpectedly sweep us into a place we never expected to have to go. These problems include common events like family breakdown, illness, loss of or reduction in income. These days many jobs are zero hours contracts so it is not unusual to be missing income even when in full time work. When something goes wrong and people involuntarily land in debt, very quickly things can spiral down. Disability benefits can be cut or suspended, so money meant for food has to be spent on rent, then electricity bills can’t be paid and the phone gets disconnected. The benefits system is now very different with the introduction of Universal Credit. Research has shown a 52% increase in average food bank use in areas that have had Universal Credit for at least 12 months compared to 13% in areas that have not. 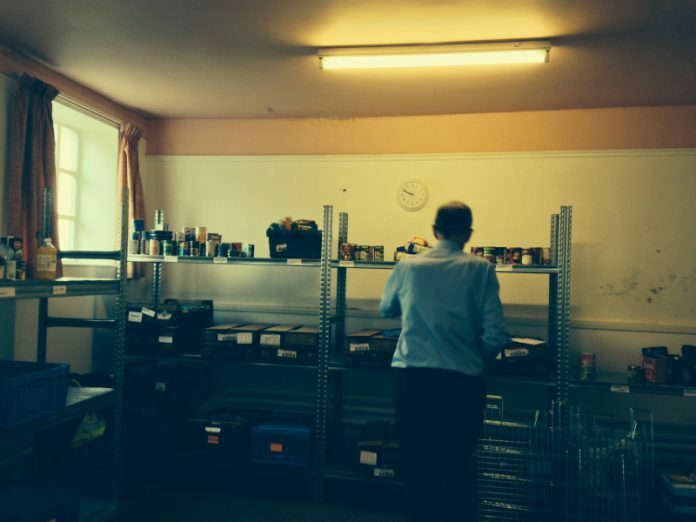 For visitors to the Rye branch of the Bexhill Food bank, transfer to Universal Credit is not the only issue driving an increase in food bank use, but it’s a significant factor. No one should need a food bank. But from the very start, everyone who applies for state benefits has to wait at least five weeks for a first payment – some people are left waiting longer. This is leaving many without enough money to cover the basics. Even when an application goes to plan and the wait lasts only five weeks, many people are still referred to Rye’s food bank struggling with debt, rent arrears and issues with mental health. In Rye there has been a noticeable rise in food bank use since Christmas, with the average number of people being fed each week between 50 and 60. During the school holidays demand increases. Please donate as much as you can to the collection points in Rye churches or use cash to donate at https://www.trusselltrust.org/make-a-donation/. If you would like to volunteer please visit the Baptist church on Wednesdays between 12:30pm and 3pm and speak to the manager.